When it comes to studio apartments, size really does matter. A recent 11’x11′ New York studio space inclined to feel dark and closed in, became the platform for a bright and open design makeover. The result was the appearance of a larger splendidly designed living area. How? 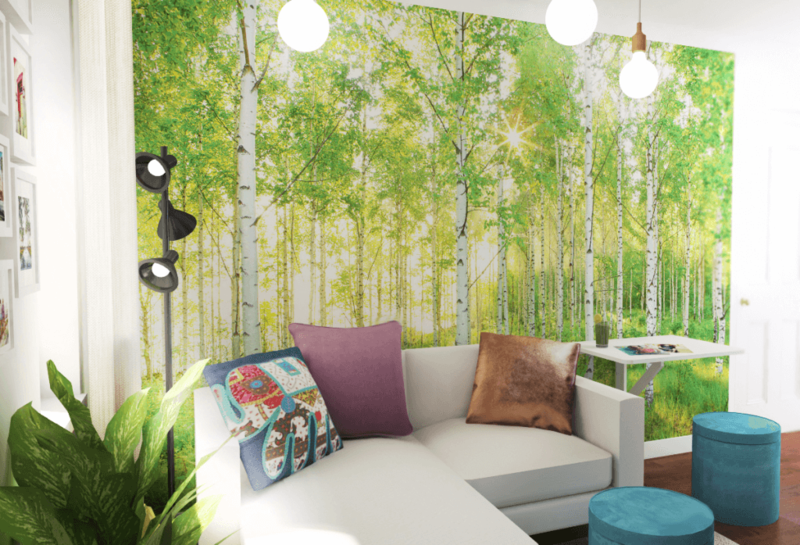 One of Decorilla‘s accomplished designers & team member, Eleni P, ingeniously claimed the idea of using a large forest photo mural from Wayfair.com as the highlighted piece that made all the difference. With high resolution quality, this image provided the space depth and perceived vastness. Readers and viewers who’ve had a sneak peak at the completed online design project agree: they love it! As this room’s focal point, the wall covering is balanced by neutral furniture and natural finishes. The client’s love for color comes through in accent pieces such as the throw pillows and art work. 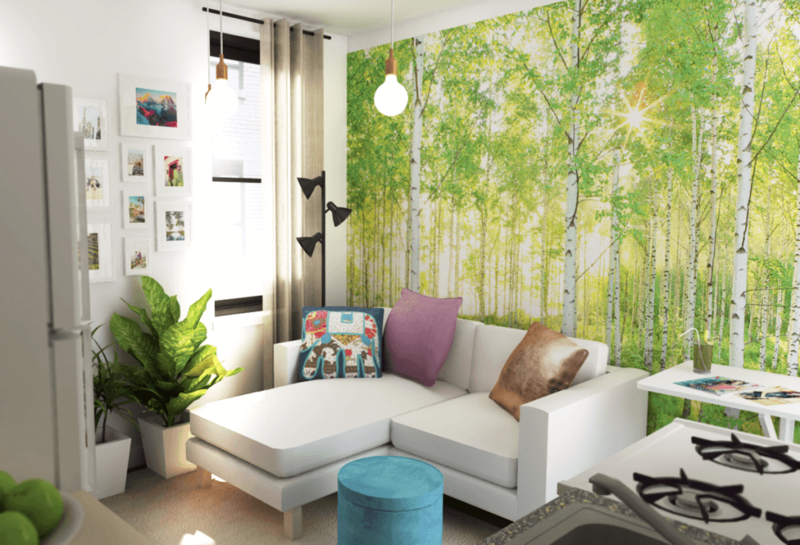 Keeping these design suggestions in mind, can help with any small, challenging space. 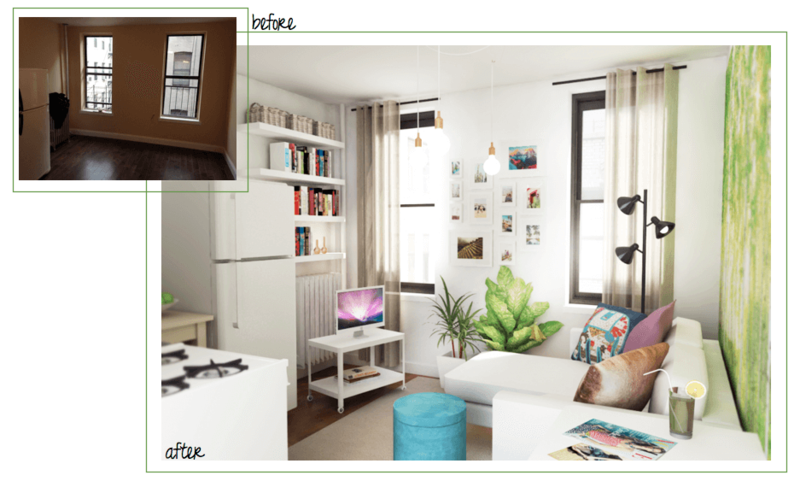 Or, start a project now and have leading designers like Eleni come up with more creative solutions online for 80% less than traditional interior design!